Also at the Travel & Tourism Law Committee (7th Annual Business Law Conference of the Section on Business Law ), Professor Ikechi Mgbeoji argued that the “Comprador Complex” is the bane of Nigeria and Africa’s IP administration. He gave examples of the operation of the “Comprador Complex” viz: the continued retention of colonial structures of IPRs laws and administration in Africa, the application of Western IPRs to African bio-cultural knowledge, Nigerian universities treating IPRs as an appendage to other law disciplines etc. Professor Mgbeoji also stated that beyond statutory provisions, the administrative machineries for IP protection in Nigeria are grossly inadequate. 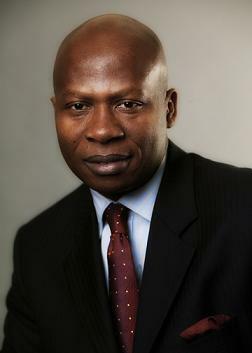 According to him, lawyers involved in IPRs practice in Nigeria cannot favourably compete or compare with their foreign counterparts nor are Nigerian IPR disputes important or seminal enough to command the scholarly attention or judicial notice of foreign courts. Professor Mgbeoji further observed that the absence of substantive examination in the processes leading to the grant of patents in Nigeria is quite disturbing. He suggested that Nigeria’s Patent laws should provide for domestic examination of patents and more importantly establish institutions where patent agents can be trained in the techniques of claims drafting unlike the current situation where all qualified Nigerian lawyers are patent agents. “The administration of medicines and drugs laws in African States should be orientated towards safety rather than an inquisitorial approach towards African bio-cultural medicinal products”. “Copyright laws in Africa can be geared towards greater open access to copyright works”. “It is impossible to have a responsible and responsive IPRs regime without a credible Industrial Policy”. In conclusion, it was stated that, to tackle the “Comprador Complex”, Nigeria needs a clear industrial policy which will identify the roles that Nigeria’s bio-cultural wealth can play in various industrial sectors. The resonating issues at both the IP and the Travel & Tourism Law Committees are the need for an IP policy document, need to adapt national IP regimes to suit developmental needs of each country and the need for coalitions with emerging economies that have achieved success in building a formidable and development-oriented IP regime. For this Leo, it would have been interesting to get the reaction of members of the IP Committee (and indeed, Nigeria’s IP-focused Law Firms) to Professor Mgbeoji's paper. Would that this Leo had the opportunity to ask all (Nigeria-based) IP practitioners, “Wherefrom doth your claim to "IP expertise" flow”?